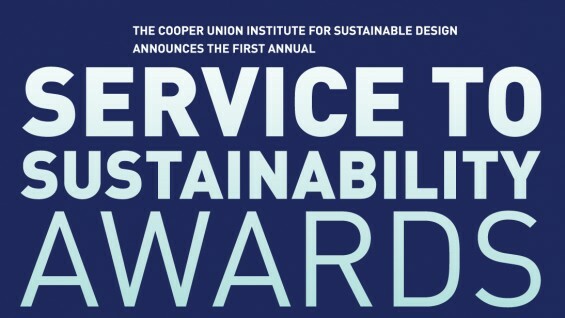 In April, the Institute hosted the first annual Service to Sustainability Awards with inaugural honorees Rebecca Wodder, Amy Goodman and Yoko Ono. The event also launched Water-Aid USA Inc., a new initiative to ensure the purity of America's water, featuring remarks by Watershed Expert and ISD Senior Fellow Albert Appleton, Environmental Arts Leader Linda Weintraub, and NYC Environmental Chair James Gennaro. Performers at the event included internationally acclaimed jazz artist Kazzrie Jaxen; two-time Grand Slam Champion poet Laura Moran; Mark Black, John Sebastian and Eric Weissberg singing "No Fracking Way," the renowned artists from ISSUE Project Room; the Reverend Billy Talen and the Stop Shopping Gospel Choir and Sabrina Artel of "Trailer Talk." As part of the celebration, five giant video walls were mounted in The Great Hall to showcase the conservation photography of J. Henry Fair and media and video artists. Baum Forum, CatskillMountainkeeper, Columbia University Sustainable Business Committee, Damascus Citizens, Gasland, NY Restoration Project, NYH2O, Sane Energy Project, SkyDog Projects, United4Action, Yestermorrow Design/Build School.